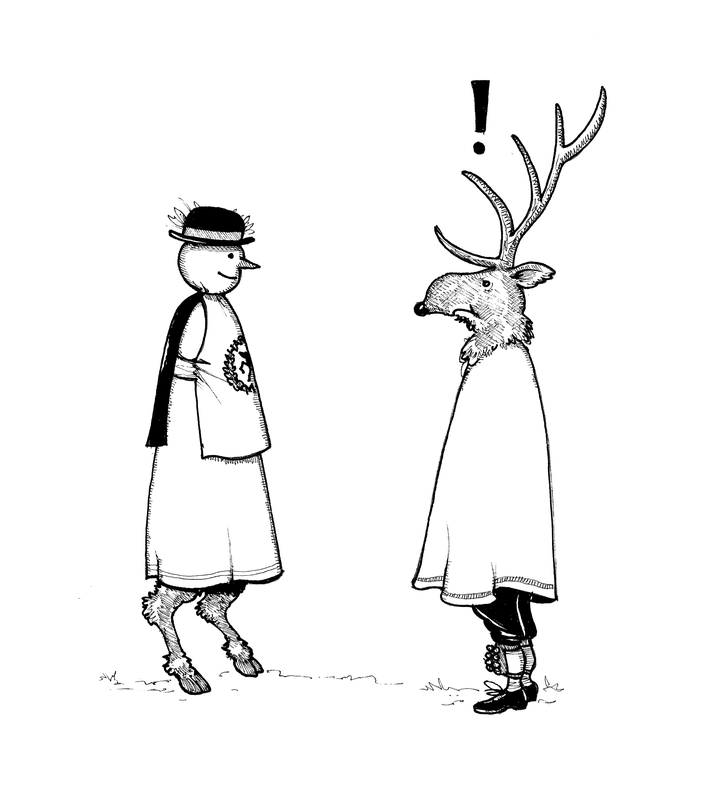 Welcome to the Harthill Morris website! Harthill Morris are a Cotswold Morris dancing side from the most southerly village in Yorkshire, located to the South East of Sheffield on the border with Derbyshire. In the mid-1970’s a member of Sheffield’s Escafeld Morris Men moved to the village of Harthill and was asked by a group of lads to teach them some basic Morris dancing for a village show. Over 40 years later Harthill Morris still dance, sing and make merry throughout the local area of South Yorkshire, North Derbyshire and North Nottinghamshire, up and down the UK, and overseas. In the past they have waved their yellow handkerchieves for royalty, on TV and even on the radio, and have been a proud member of The Morris Ring since 1981. 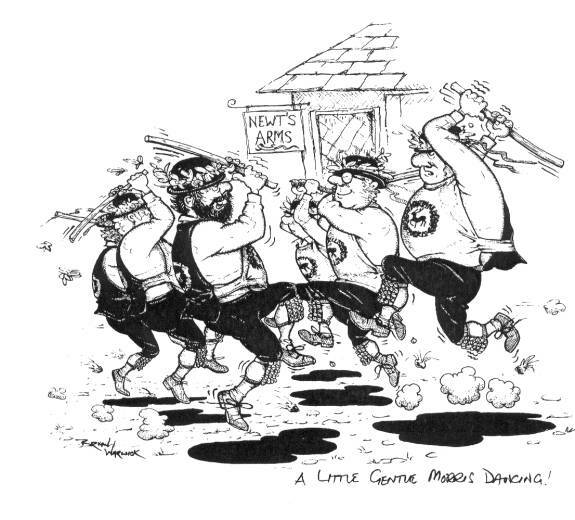 The Harthill Morris dancing season usually starts in May with a May Day coach tour with sister side Three Shires, and continues through until September, dancing-out on most Thursday evenings at local pubs. Throughout the year the side perform at various events such as carnivals, fairs and well dressings, and dance at Morris gatherings including Ring Meetings, folk festivals and Days of Dance. During the Winter and early Spring the team practice on Thursday evenings at Harthill Village Hall and from Remembrance Sunday until Christmas, after practice, the side lead the local community in singing Yorkshire Carols. Traditionally Harthill Morris perform at the two village pubs in Harthill on Boxing Day, and some of the team form the Harthill Tuppers; a Mumming group who perform The Derby Tup around the local area during the festive period raising money for charity.